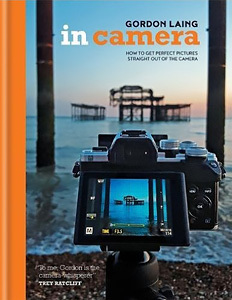 The full title of Gordon Laing's new book is In Camera: Perfect Pictures Straight Out of the Camera and that says it all. Laing, who created and edits CameraLabs.com, show you just how much the camera alone can do during capture. In fact, Laing contends you can just shoot JPEGs and get great shots right in the camera with no post processing at all. Millions of smartphone photos, with a lift from computational photography, would suggest he might be. And to make his case, he provides about 200 pages of printed evidence. 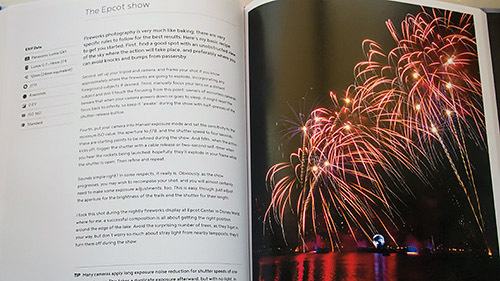 They show 100 images, each with a facing page of text explaining how the image was captured using nothing more than the settings available in the camera. Most cameras offer a selection of presets that can boost the color and contrast for a vibrant result, mute them for a vintage style or dispense with color altogether for a black-and-white image. Indeed, in-camera black-and-white conversions have come a long way with digital filter and toning simulations. Try them out! You may be surprise how good they are and don't forget you can tweak them, too. As I've discovered, they can deliver the results I desire without eternal modification. Laing is essentially making the old argument, "Look, Mom, no hands!" Take black-and-white conversions, for example. Yep, you can set your camera to show you the scene in front of you in black and white on the LCD monitor and capture nothing but that. You may indeed be surprised by how good it looks, especially if your camera offers film simulations or other tweaks. Table of Contents. Thumbnails with page numbers. But you are giving up some very important options when you do that. Like the ability to independently change the tonality of more than a handful of hues. You can make the blues darker, say, to pick out the clouds from the sky. Or the greens lighter to brighten up foliage. In post processing, that is, where you decide just how far to go with those changes rather than some film simulation whose details you are not privy to. That's a small example of what you don't know you're missing with Laing's approach. The big example is Raw captures where almost all the decisions about rendering an image are postponed until post processing, including something as innocuous as white balance. And if you've been reading Photo Corners very long, you know we celebrate, enjoy and even relish the edits you can make. We love them, we live for them, we demonstrate them. We don't even need a camera to enjoy them. We subject scans of 37-year-old color negatives to them! But Laing is right that leaving your camera in Auto mode and clicking the shutter is missing out on a lot of the fun. And too often you'll be disappointed with what the camera thinks is a good rendering of what you were both looking at. Typical Spread. Exif data on the left with text explanation and the image on the facing page. That's because -- and there's no way around this -- the camera doesn't know what it's looking at. Only you do. By intelligently activating some of the options available in the camera, you can direct the camera to capture what's important to you about the scene. Of course, that's why a lot of people shoot Raw -- so they can make all the decisions in the comfort of their office chair. But if you're going to bake settings into a JPEG file, you should fiddle with them. They're your friends. While Laing uses a wide variety of cameras (not all of which have all the same options), he doesn't use digicams or smartphones. That's an important line to draw in the sand. Smartphones do a lot of smart things to their JPEGs to improve the images they capture and none do smarter things than iPhones. But Laing isn't talking about computational photography. He's talking about making use of the options in a high-end Micro Four Thirds or dSLR camera. 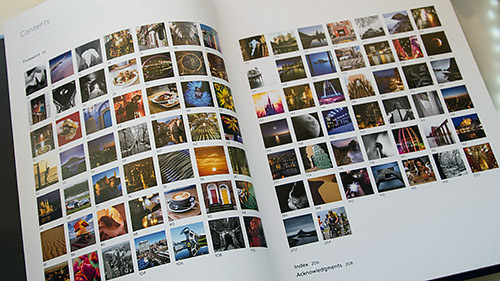 The cameras featured in the book are all from Fujifilm, Olympus, Panasonic and Sony. Your average PowerShot or Coolpix is not going to have a lot of the camera options he mentions (but stay tuned, all is not lost). Each text page accompanying a photo tells you the camera, the lens, the focal length, the aperture, the shutter speed, the EV setting, the ISO and the white balance. It may also tell you other settings specific to a particular camera. We find the text itself really too small. It seems to be about 8 point text, which is not a readable size for half a dozen long paragraphs. The photos, though, are stunning. The contents page itself is a two-page spread of thumbnails showing them off, the only text being the page number. Looking for fireworks? It's easy to find the thumbnail and flip over to page 110 where you can see how Laing used a Panasonic GX1 at ISO 160 with a four second exposure (on a tripod with a shutter release) to get the shot. A few of the images are spreads with text on the following or preceding page. 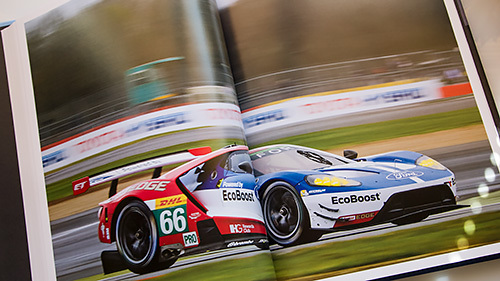 The racing car, for example, appears on pages 68-69 with the text on page 70 explaining the shot was made at 1/125 second and ISO 200 on a Fufifilm X-Pro2 camera. Two-Page Spread. Turn the page for the text. That's Laing's sports lesson, incidentally. Rather than freeze motion, he suggests, you should try panning with it to blur the background. He doesn't avoid fast shutter speeds, he says, but starts with them, gradually slowing down and panning. Those little tips, which work whether you prefer shooting JPEGs you never need to touch or Raws you want to work on, are the real pleasure of the book. Whether you own a higher-end camera or a digicam, they provide insights into dealing with situations that are beyond any Scene mode's ability to capture. In fact, in can be a pain in the tuckus to wrangle every possible setting on a camera into the right option for a JPEG capture before pressing the shutter button. But it can't hurt to learn how Laing approached a tough shot and came away with a great image. Or only proviso is that while he covers a hundred different situations, many of which are interesting variations on a theme, he doesn't shoot some common situations like infants, children, kids sports, portraiture, eBay product photography and sunsets (although he does do "The Compulsory Sunrise"). And there's nothing about using flash. It may not be comprehensive but it really doesn't need to be. It's more about how to think about your shot. So don't let the "in camera" marketing turn you off to Laing's advice on how to handle some intriguing situations. He proves to be a great companion to have in just those spots. In Camera: Perfect Pictures Straight Out of the Camera by Gordon Laing, published by Ilex Press, 208 pages, $24.99 (or $15.46 at amazon.com).